Do you have your Valentine’s Day specials planned yet? If not, don’t worry, I’m here to help! 1. Think beyond couple massage. How about couples body wraps, facials or foot massage (these you can do by yourself too). 2. Don’t have room for couples treatments? Get out of the office, grab a therapist friend and do some outcalls. The best part is you both promote it. Be sure to have a chat about promoting your separate practices and sharing the money beforehand, so there are no misunderstanding. Clear communication is the key to working together. 3. Instead of couples massage, teach them to massage each other! This is a unique service to offer and it’s a unique “date” for your clients. I have a whole class on how to get started with this fun new service here. 4. Add some special enhancements and a take home gift to any treatment. 5. You can use different time combinations! We get so stuck on 60 minutes….. How about a 30 minute body scrub with a 45 minute massage? Or a special 45 minute facial with a 30 minute hands feet and neck & shoulder massage? Get creative, you don’t have to do longer sessions to create great specials! 6. Not everyone is part of a couple, so encourage your single clients to treat themselves. 7. Be sure to have easy to buy Valentine’s Day Gift Certificates with special packaging and some extra goodies like chocolates and spa products for a great ready to give gift. 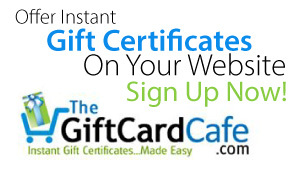 For more on promoting Gift Certificates check out this article Four Tips to Boost Sales: Spa and Massage Gift Certificates. 8. Most importantly Have FUN, you will be more likely to promote Valentine’s Day specials that you enjoy and are excited about doing. 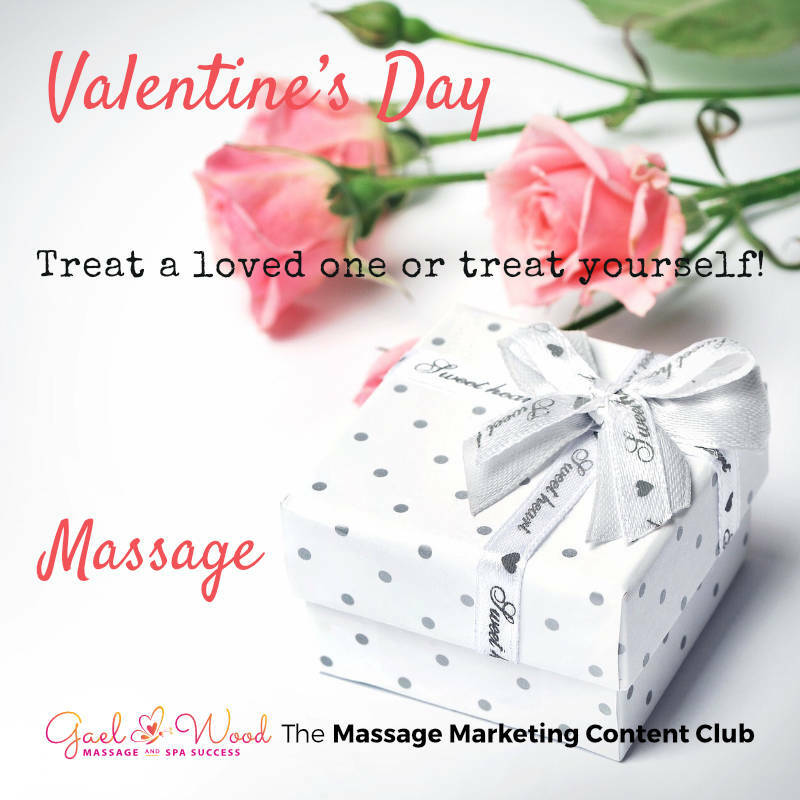 Valentine’s Day Marketing for Your Massage or Spa Business Just Got Easier! 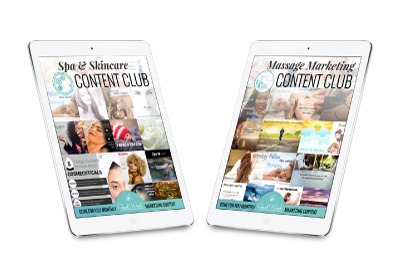 Check out the Massage and Spa Marketing Content Clubs! See our current valuable sign-up bonuses and start marketing your business like a pro!